Steganography is common term which is used in hiding or encrypting any personal information. The information can be anything which you don’t want to share. The art of hiding personal data. Today most of the companies use this techniques to hide sensitive content inside an image. There are various ways of hiding an personal content like txt, mp3, wav and many other formats which are supported by this method. This practice is old but still useful. As there are some loopholes of this technique. Today there are many tools and software’s are available to decrypt encrypted data from images and also steganography is popular in exploit kits. We will show you some of the tools that are used to encrypt and decrypt data from images. As shown above the RGB forms different colors on screen. In binary codes it forms different colors in steganography. 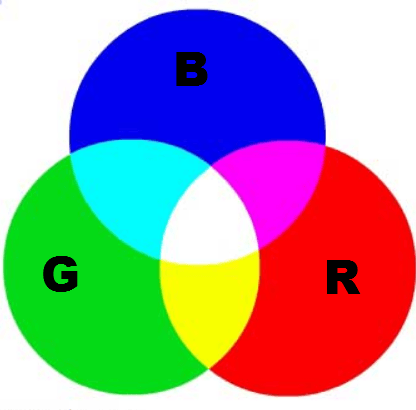 When images are combined in steganography the rgb changes its colors as shown below. As shown above when two images are combined an new image is formed. In steganography right most bits are changed as it shows very minor visual effect on the image. As you can see when image 2 is hiding is hiding data in it. As steganography changes right most bit in the image. As shown above the left most is an simple image. But the right most is an image hiding another image. If you look carefully second image in the above figure holds an encrypted data. The below is the python code shows how image is hided in another image. As shown above in code image 1 is hided in image 2. The above is the common code used to hide images in image. Now we will see txt code that how txt is hidden in image. The above code uses an simple parameters to hide images. The above is the basic code shows that how text is hided inside an image. The above code consists of encoded method which are used in hiding text files. Now we will show you some of the tools that are used in hiding data inside an image. 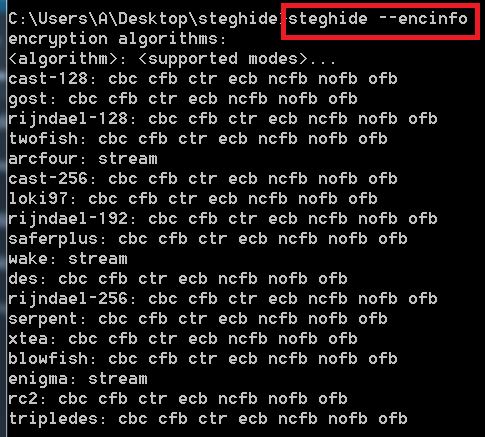 Stegohide – Hide data inside an image. Stegohide is an simple program used in hiding data inside an image. According to digital forensic expert of international institute of cyber security, the color frequencies are not changed in this program as it hides only minimal data. Stegohide current version is 0.5.1. This program encrypts data. When a user hide txt file inside this program it ask to put passphrase. Passphrase is the key which is used to encrypt and decrypt the sensitive information. After downloading an rar file. Unzip the rar file and open the stegohide.exe in cmd. For that go to start menu type cmd. After typing right click on cmd and open cmd as adminstrator. You can choose any image to encrypt data. We have choose windows default image to show you. -ef is used to encrypt sensitive data. After executing above query the data is now hidden. Now you can delete the original file. After executing the data will be decrypted in its original form. The above information can be used in other hacking activities. In hacking it can be helpful while sending any encrypted message or binding any malware. In the above image first command is used to check basic info of the file. And if the data is encrypted in that image. Encrypted data details can also be seen by typing passphrase. Type steghide –encinfo to view all the algorithms. The above query shows the algorithms that are used in encrypting data. Knowing an algorithms of any encrypting program may lack into security as additional decrypters can be created easily. The above commands which are used in encrypting data uses rijndael-256 encryption to hide text files. -f will overwrite the file. 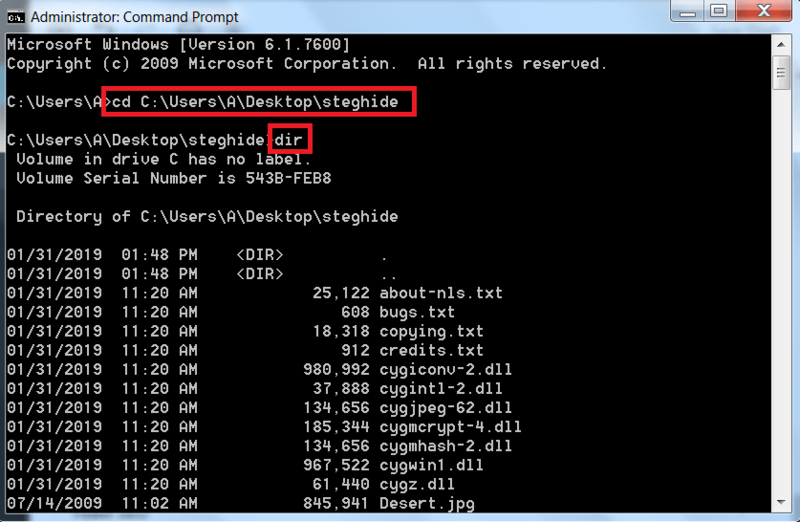 After executing same file will be overwritten if any chnages is done in hidden text file. -N will not embed the original file name. -cf is used for cover file. The above tool is used encrypt the data without taking hidden file name. Be sure to encrypt data by using this command. As if you try to decrypt data it will not decrypt as it requires embedded file name while decrypting. Foremost is the another Linux utility that recovers deleted files in Linux system. Data recovery is the process in which deleted or corrupted data is recovered. Foremost is an simple utility that are pre-installed in many systems. An initial configuration is already done in Kali Linux for using foremost. If you are using any other Linux Distros. Here we have use an sample pdf file test whether it recover file or not. -i is used to specify input file name. -T is used to enter desired file extension. This option is require if the directory is not empty from where the file is deleted. After executing the above query it takes time to recover the file. The above audit file shows the details of the file that what time and date the file was recovered. As shown above pdf has been recovered with different file name but the contents of the files are same. As you can see the file data is exactly same as it was earlier before deleting.